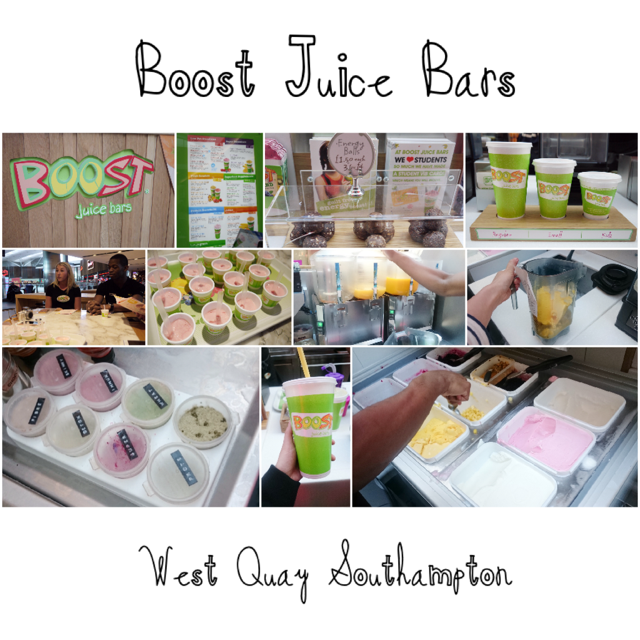 I was recently invited to Boost Juice Bars in Southampton / West Quay for a juicing evening to learn more about the brand and to make our very own Boost Juice! In London juicing is a big thing and Southampton is slowly catching on so this is all very new to me. You always hear about all the benefits a shot a day or a juice a day gives so I was excited to learn more and to make my own! 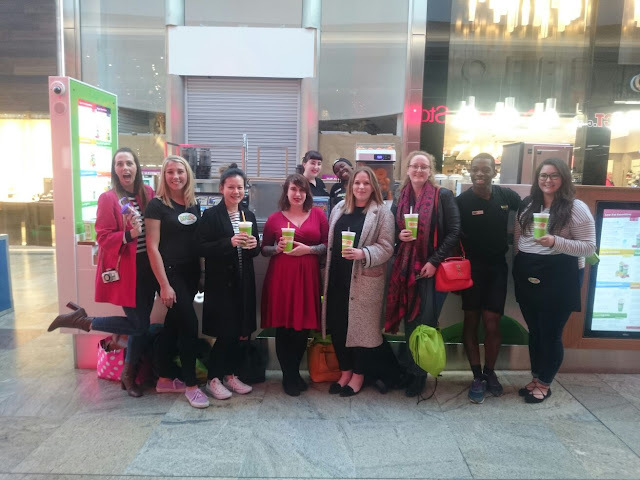 Boost Juice was first launched in the UK at the Trafford Centre in Manchester back in 2007 by the founders behind Millies Cookies and it current has 10 stores looking to expand to 50 locations over the next 4 years. Everything is fresh made in front of you in literally minutes with no added sugar / artificals. Since I am always needing energy these days I went for a booster with added energiser which contains a healthy mix of superfood powders and fortifying herbs which is ideal as part of a fitness program. The boosters are delicious and filling so I think a small size would be better for me next time and I also munched on a chocolate protein ball protein ball (great pick me up snack) which is packed with goodness. 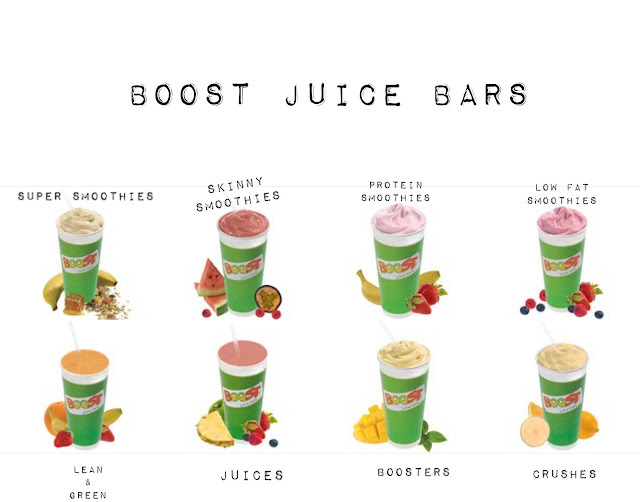 You can see the full Boost Juice menu here. It was a great evening catching up with fellow bloggers along with 2 new faces and we finished off the evening at Yo Sushi for blue Monday!